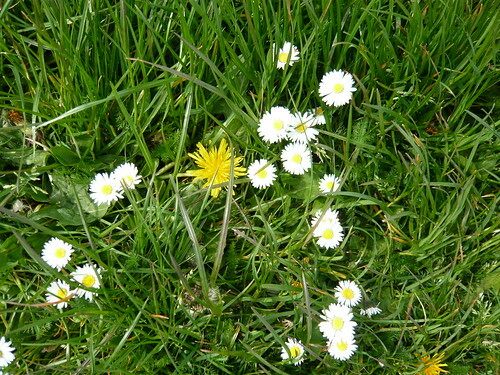 Many common weeds found in lawns and grass are appealing wild flowers. They look best in a meadow setting and not in a manicured lawn. Low growing lawn weeds escape the cut of the lawnmower and can eventually create a mass of leaves that throttles the fine grasses. Lawn weeds can host pests and disease and create unsightly flat patches by smothering the grass. 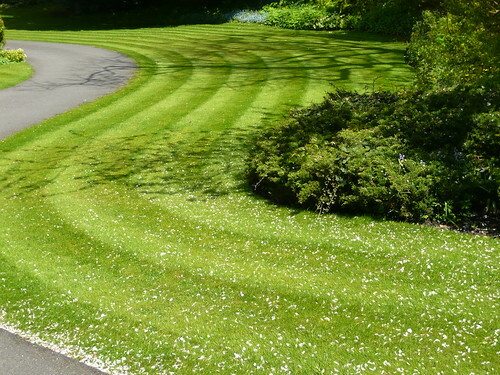 Lawn weeds are ugly or make a tidy lawn look unkempt. 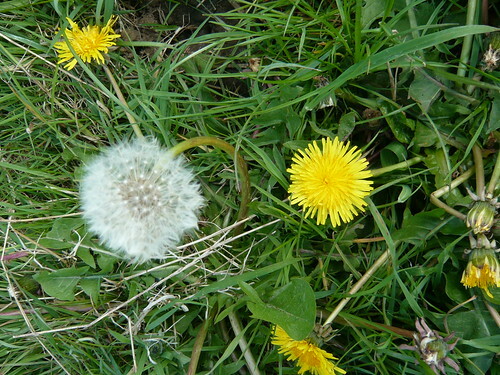 Dandelions produce prodigious amounts of fertile seed that seems to germinate well amongst grass in the lawn. Their deep tap roots need to be fully removed or killed to prevent a reinfestation of Dandelions. They can be spot weeded by hand or by using a spot-touch weed killer. The common Daisy is a low growing weed that hugs the ground too smother the grass. They can develop large colonies and are often left untreated as they ‘look pretty’ and can make daisy chains. Plantains (bottom left)have large leaves that compete for soil nutrients depriving the grass. 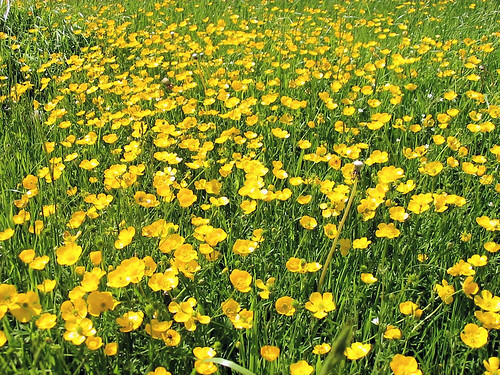 Buttercups stunt neighbouring plants and creeps quickly over a lawn. There was not much stunting going on in this picture. Mow the lawn regularly with sharp blades. Set blades so the grass grows about 1″ long. Feed your grass and encourage it to branch freely to thicken and discourage annual weeds and grasses. Keep blades higher at the start of the season and in drought to conserve moisture. Do not let weeds set seed. Remove flowerheads and seedheads and do not put seeds in your compost. 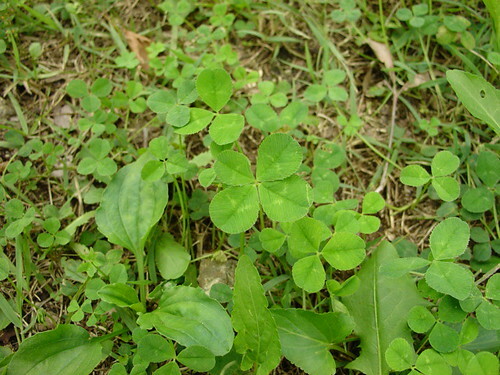 Treat weeds early before they have chance to get settled and grow. Use chemicals only with care and when absolutely necessary.